Light changes to the C-Class, including new equipment and improved efficiency, allows it to remain a popular and appealing choice for buyers. The Mercedes-Benz C-Class has been an ever-popular model in the compact executive sedan segment. The current fourth generation model, the W205 C-Class, was first launched in 2014. 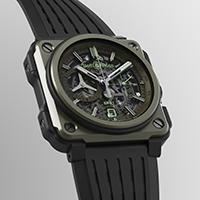 Now, it receives a facelift that brings refreshed aesthetics, new equipment and new engine options. The aesthetic changes to the facelifted model are subtle, and we're thankful for this. After all, the C-Class is an already handsome and good-looking car, so there's no need for any radical aesthetic transformation. 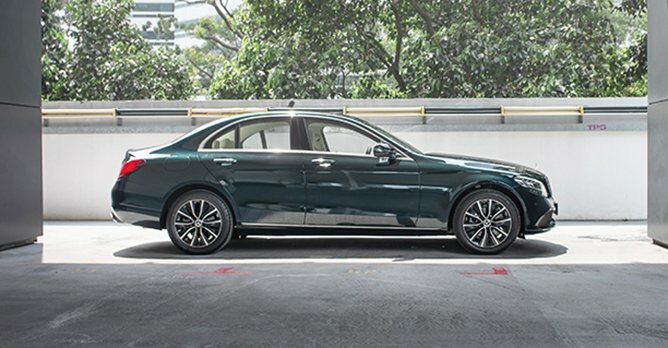 This particular Exclusive trim sports a more 'old-school' front fascia similar to the S-Class, with its 3D framed radiator grille and standing Mercedes start on the bonnet. The car comes equipped with LED High Performance headlamps and LED taillights, which have a sharper interior design from before. Ultimately, the subtle changes to the car's exterior retain the C-Class' overall understated good looks. Inside, you can spot the changes more easily. 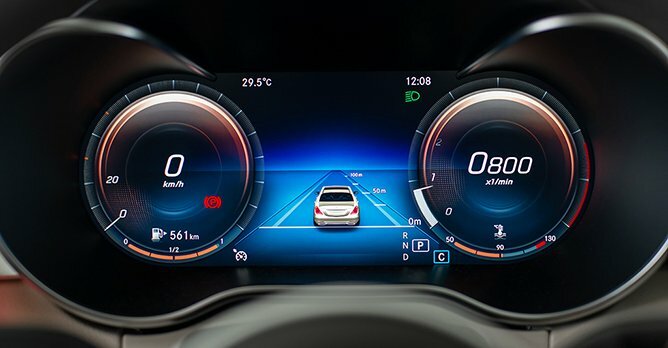 There's the fully digital instrument display with three different display styles, 64-colour ambient lighting, and a new steering wheel with Touch Control buttons. 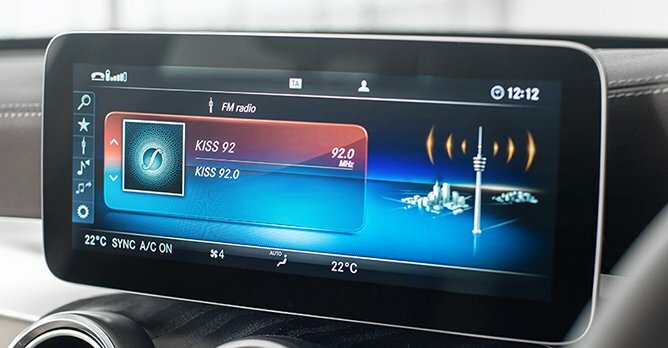 The most significant improvement, in our opinion, is the new 10.25-inch central media display offering Apple CarPlay and Android Auto connectivity. Beyond just a bigger screen, the new infotainment interface is significantly better organised and accessible to use than the previous one, which was clunky, poorly organised and thoroughly confusing. Smartphone integration also means that you can use your phone's navigation functionality. 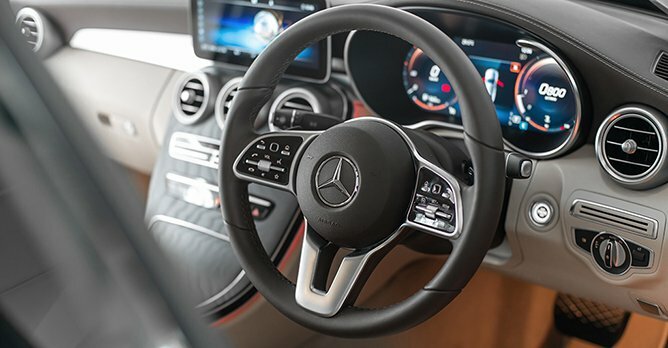 Our test car was modestly equipped as far as safety systems are concerned, but you can have the C-Class with the fully gamut of safety and driver assistance equipment on par with the S-Class, including Active Distance Assist and Active Steering Assist. All cost options, of course. 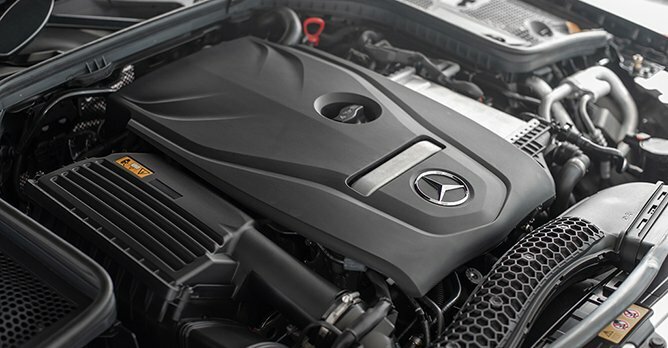 The facelifted C-Class offers two new engine options on top of this one - the C200 has a 1.5-litre engine coupled with an EQ Boost electric motor, while the C300 has a new 2.0-litre engine. This particular C180 model is powered by a turbocharged 1.6-litre engine, unchanged from before, but is now paired to a 9G-TRONIC transmission (up two gears from the 7G-TRONIC from before). Driven sensibly, this C180 gets the job done. The engine is unintrusive, and the extra gears make for smooth cruising on highways. We managed to achieve 10.4 km/L over three days of driving the C180, so it is reasonably economical. As far as the ride goes, anyone expecting E-Class comfort is going to be disappointed. The C-Class definitely veers on the side of sportiness, with a somewhat firm suspension setup. It's not overly harsh, but don't expect the suppleness of an E-Class. Somewhat surprisingly, the chassis has a tautness to it that allows you to drive rather enthusiastically without losing confidence. So it's just a good ol' C-Class, eh? As far as facelifts go, the C-Class isn't trying to rewrite the rulebook. No, Mercedes has pretty much done what you'd expect from any manufacturer - light styling changes, equipment carried over from it's flagship model, and improvements to driving efficiency. The C-Class retains key characteristics that make it such a popular consumer car - it's pleasant to look at, easy to drive, spacious enough for a family, and of course, it's a Mercedes-Benz. 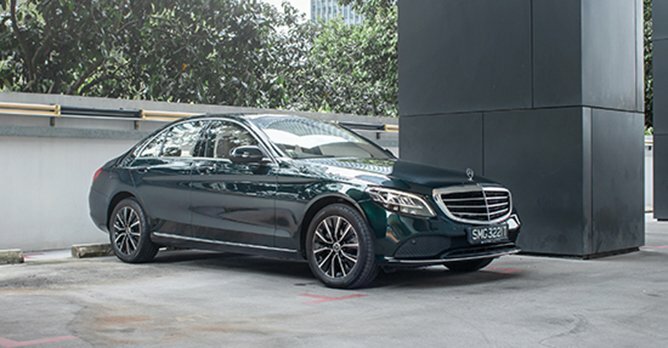 This mid-life facelift to the C-Class, with its range of expected changes, continues to be an appealing choice for buyers looking for a premium compact executive sedan. How to own a new Merc C class?